Job is the quintessential example of Old Testament theodicy. It is among the oldest parts of the Bible, and it asks questions that seem to occupy humans across cultures. After reading examples from the text, consider the following questions. Remember to use examples from the text. What are the theological stakes of Job? In other words, what is being argued or discussed by recounting the story of Job? Does the Book of Job provide a satisfactory answer to the question of evil in the world (one consistent with the demands of faith in God)? If you think it does, why, and if you think it does not, why not? How do the questions posed by Job surface and resurface in our culture today? Can you think of any examples of this taking place? 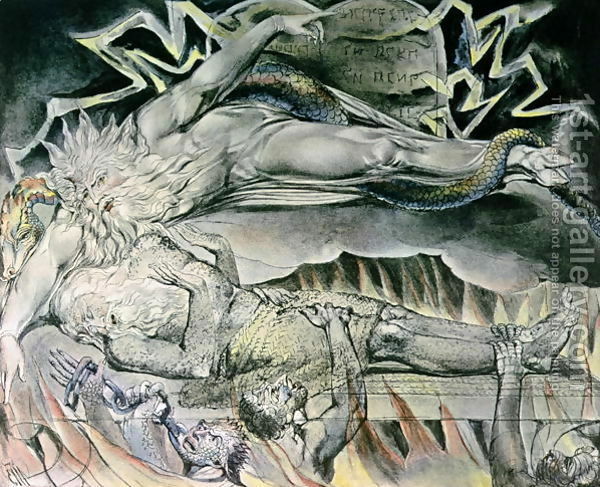 How does Job dramatize the problem of evil? This entry was posted in Class Discussion, Conversation Paper Topics and tagged evil, Faith, Job, philosophy, suffering, theodicy. Bookmark the permalink. I feel like the book of Job tries to convey the ever-popular “sticking with God is the best option” in a way that is different from what we’ve seen before. The book basically emphasizes the sheer helplessness of humanity under the rule of these divine beings (God and Satan). It also seems to point out that Satan only has the authority to do things when God lets him. In the end, Job admits to God that he and the rest of humanity are unable to understand why God does things, specifically, allow good people to suffer. Job’s friends are also rebuked for giving him bad advice, suggesting once again that humanity is unable to fully comprehend God’s plan. The whole scene sort of repeats the “sticking with God is the best option” idea again, but more literally than in other stories. The whole story is very melodramatic. God and Satan have always been there in the background, but this time we get to see their conversation. Satan wants to do evil, and God allows him to do so in order to prove a point. What does this say about ‘evil?’ God might not be the source of it, but He does allow it to happen. In this case, and ideally all cases, there is a purpose, which the book of Job tries to persuade us is something that is there even though we don’t understand it. Yes, this is a great way to log initial thoughts. You’ve pointed at a lot of the key questions that we will hopefully get into on Friday. Instead of asking “what does this say about evil” (a valid question), I like to say, “what does this say about God?” In a sense, the book is a referendum on the possibility of faith in a detached divine being.